Hope you never stop making this -- perfect planner. Would love to see a version in leather. 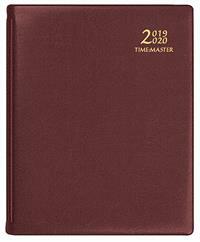 I've been using one of these planners every year for at least 15 years, and hope to do so until I die. I'm a therapist who works evenings and weekends, and I love that I can schedule appointments as late as 7pm all week long. 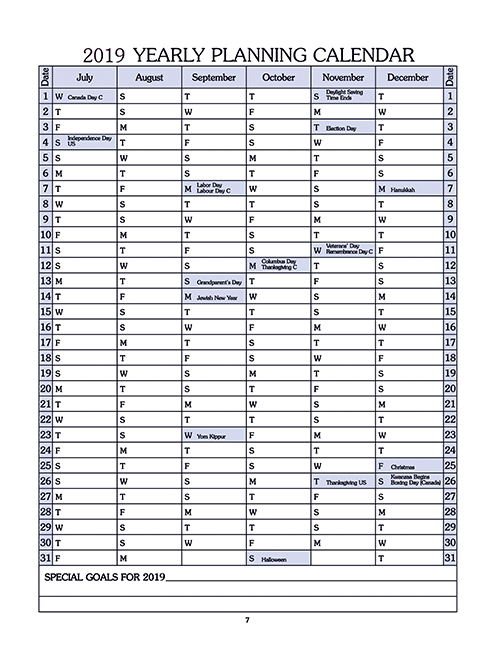 The weekly view is my go-to and contains all my appointments and activities at a glance. 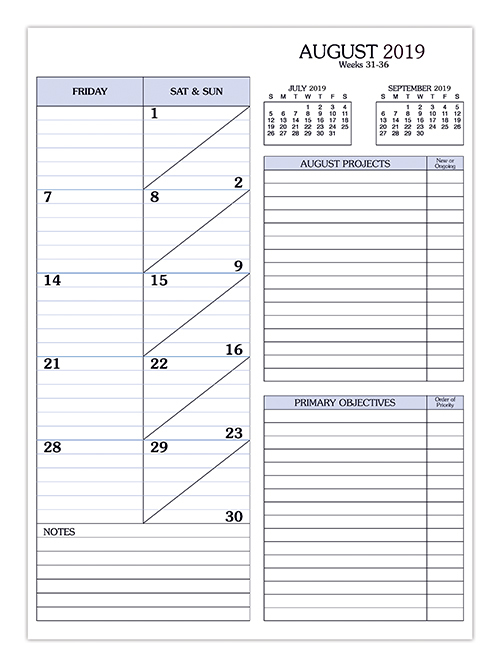 There's also room on the side and bottom for weekly notes and project planning. I use the yearly view to record things like conferences and vacations that are planned months in advance. 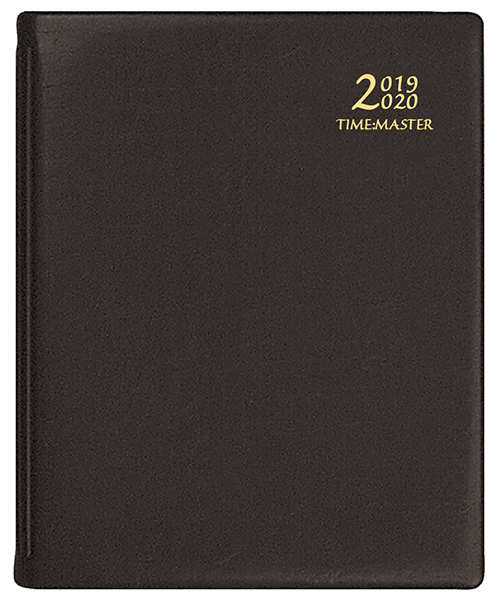 There's absolutely nothing missing from this hard-working little planner, which fits conveniently in a purse and looks like a classy leather-bound appointment book. I have used this timemaster calendar for 27 years! I love it! It is small enough to fit in my purse,but has spaces for everything I do. I am a musician. I teach 30 minute lessons and can keep track of them and all my concerts, as well as dates with friends, birthdays, grocery lists, to do lists and important conversations. I can go back and tell you what I did on any date in the past, because I have kept all my calendars. I have always used the "hardback" version, because it holds up to being packed around with other books. If you ever stop making them - I will be devastated! I am also so glad you have the academic version -so I don't have to switch books in the middle of the school year. I love the yearlong calendar in the back - I can put my concert dates in there and also school vacations -it gives me a great overview of what my year will be like. I used to have an office store special order one for me every year -now I get it from you direct - Thank You so much for that! Love the book but can't buy a yearly academic insert! 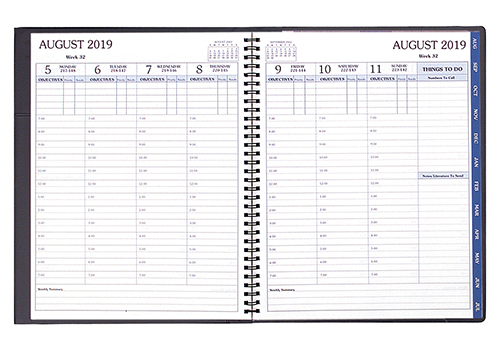 I bought this two-part unit(a cover and calendar insert) believing that I could purchase an academic insert the following year. But, no, they don't sell the academic insert alone. I have to repurchase an entire two-part set. I should have been warned. At $32 total, a regular book would have been a significant savings. I'm frustrated. I love the book.